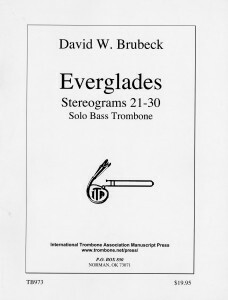 The International Trombone Association Press has published the Second Edition of the third volume of Stereograms, Nos. 21-30. 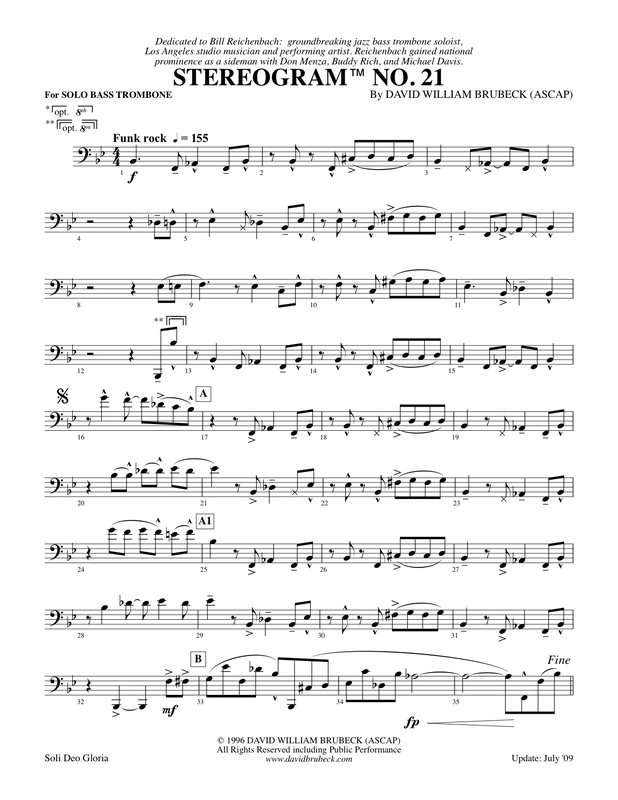 These original unaccompanied solos for bass trombone are also appropriate for tenor trombone with ‘f’-attachment and work well for euphonium, bassoon, ‘cello and most bass clef instruments. Featuring self-accompaniment in the style of Bobby McFerrin, Stereograms have garnered praise and been recorded and performed around the world. 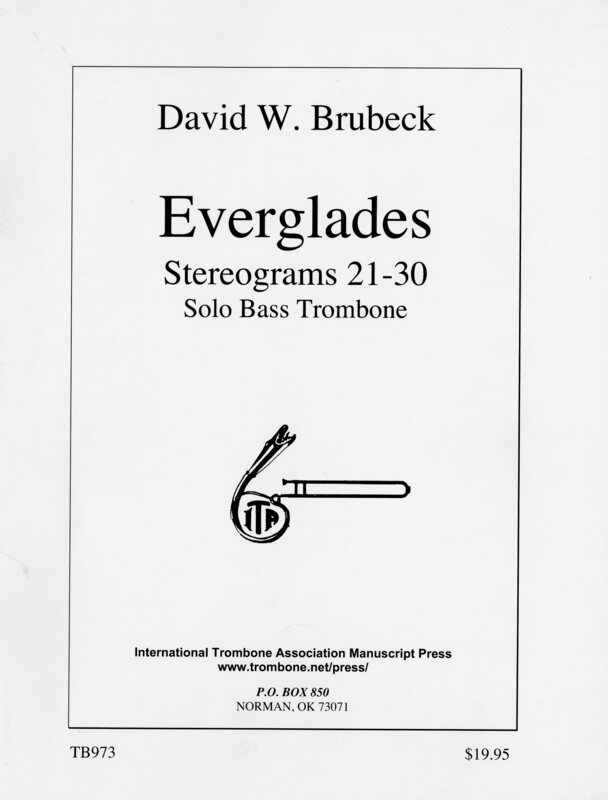 “Everglades” ranges in style from Funk Etudes dedicated to Bill Reichenbach and Fred Wesley to Swing tributes for Glenn Miller and “Tricky” Sam Nanton. The most recent volume features a mixed-meter romp honoring Chris Brubeck and two additional ‘laid back’ etudes, which have soaked up impressions of the Florida Keys, and are dedicated to Jeff Reynolds and Ken Thompkins. Those who enjoyed ‘Spain’ or ‘Africa’ from Volume II will be drawn to No. 26-’Cuba’ from Volume III. 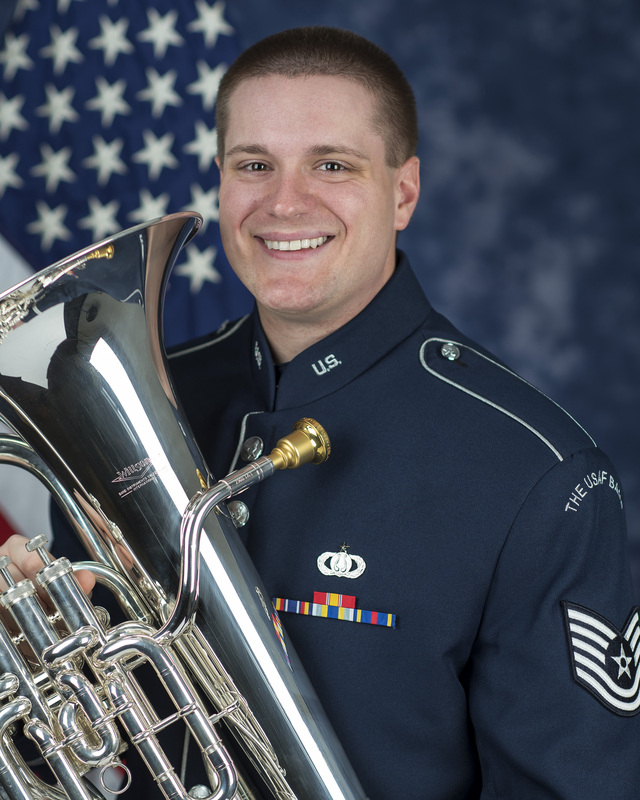 Dedicated to Phil Teele, this extended concert Etude utilizes innovative expressive devices with flowing, hypnotic Afro-Cuban mixed-meters. Two final pieces include a novelty ‘gliss-fest’ dedicated to Henry Fillmore and a dreamy piece of Americana honoring Emory Remington. 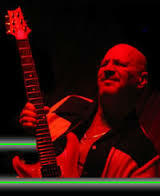 “Everglades” is available from Hickey’s Music and other fine retailers.